Let’s kick off Christmas the Marley Grange way! 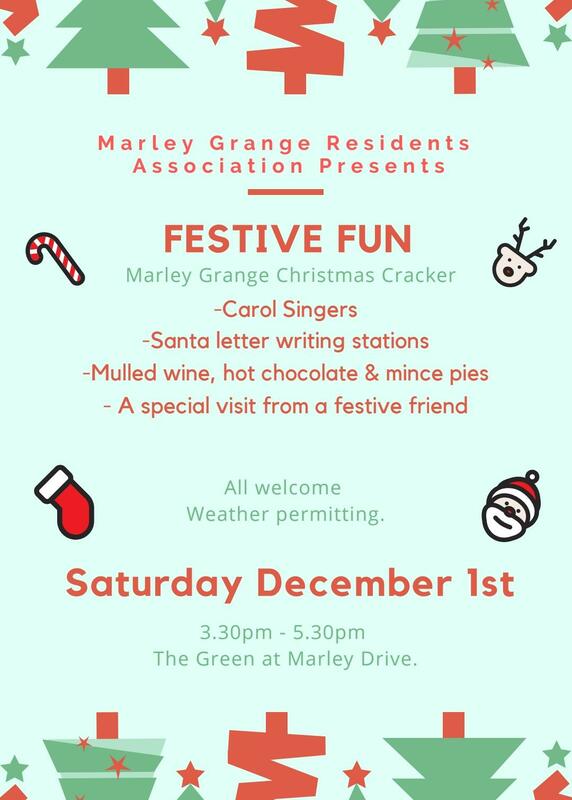 Please come join your friends and neighbours for some festive fun on Saturday 1st December, 3.30-5.30 pm on the central green at Marley Drive. There’ll be carols from the Divine Word Choir, mulled wine, hot chocolate, mince pies and some festive treats. Bring those important Santa letters, or write them there! We may also have a visit from a festive friend to take them straight back to the North Pole. Weather permitting folks, so please keep an eye on Facebook and website for latest updates.